Holidays are getting closer and no matter what your faith, we all like to celebrate and in line with that, prepare special foods and treats (Oh yeah!) We share meals and we share time with family and friends. “Hershey process” milk chocolate is popular in North America. It was invented by Milton S. Hershey, founder of The Hershey Company, and can be produced more cheaply than other processes since it is less sensitive to the freshness of the milk. The process is a trade secret, but experts speculate that the milk is partially lipolyzed, producing butyric acid, which stabilizes the milk from further fermentation. This compound gives the product a particular sour, “tangy” taste, to which the American public has become accustomed, to the point that other manufacturers now simply add butyric acid to their milk chocolates. In a big bowl, mix the first four ingredients. Add to the bowl with the almond mixture. Carefully fold in the beaten egg whites. In the meantime, melt the chocolate: Break into smallish pieces and either melt in a double boiler with a tablespoon water or (and this is the easier way) place in a bowl, cover with warm water and microwave at 30 second increments until the chocolate is soft and molten, then carefully pour off the water and stir smooth. Let cool slightly (so as not to cook the egg whites) then mix into the ingredients in the bowl. Roll out on sugar (or sugar mixed with ground almonds) to about 1/2″ to 1/4″ thick. 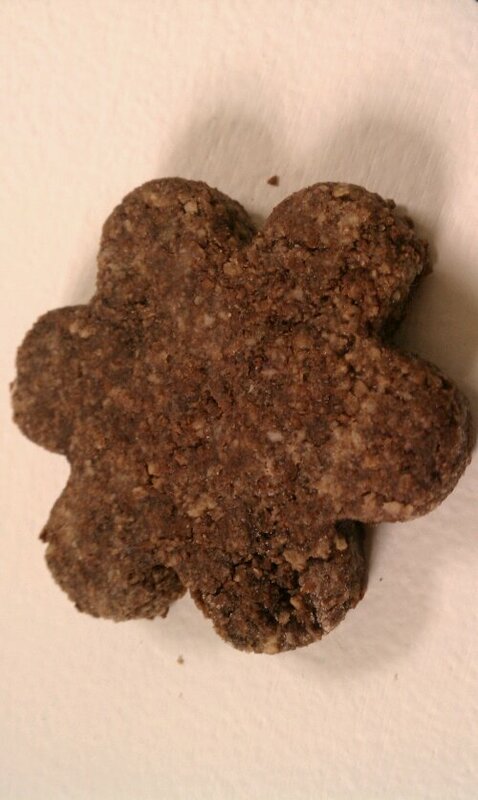 This entry was posted in baked goodness, Bootcamp approved, gluten free and tagged almond, chocolate, Christmas cookie, gluten free, grain free, no butter. Bookmark the permalink. My 11 year old is doing a Social Studies project on Switzerland with two other classmates. They have to research and prepare a traditional Swiss food. They chose Brunsli. The group is coming to our house this afternoon to make these cookies. Thanks for the recipe!!! Oh how exiting!! Let me know how it all turns out and how everyone likes them.